Why See Barber Shop Chronicles? Following critically acclaimed runs on London's West End this year, UK-based playwright, poet and performer Inua Ellams' critically acclaimed portrait of the concept of African masculinity and its relationship barber shops of the world tours US shores. 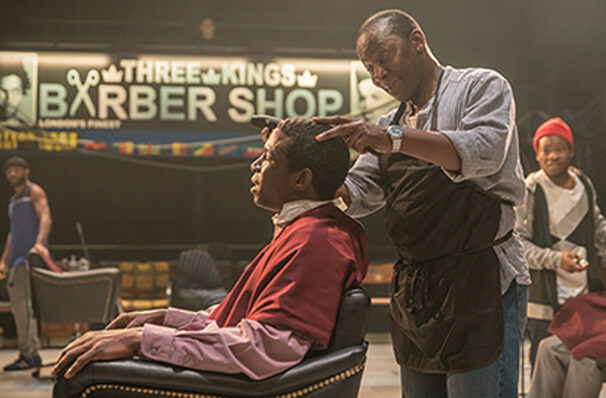 Funny, joyous and deeply moving, The Barber Shop Chronicles invites the audience into an intimate world of male grooming and its multi-purpose functions as a place of confession, companionship and political discourse. Taking place in a colorful parade of barber shops in Johannesburg, Accra, Kampala, Lagos, Harare and South London, the revelatory production tells the stories of men who've travelled far from home, fathers and sons strengthening their bonds, men cut off from their fathers and men searching for friendship amidst conversations, arguments and jokes. Earnest and poetic, Ellams' innovative writing bears the marks of a future theatre icon. Sound good to you? 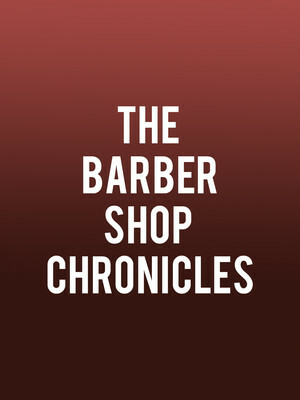 Share this page on social media and let your friends know about Barber Shop Chronicles at Eisenhower Theater. Please note: The term Eisenhower Theater and/or Barber Shop Chronicles as well as all associated graphics, logos, and/or other trademarks, tradenames or copyrights are the property of the Eisenhower Theater and/or Barber Shop Chronicles and are used herein for factual descriptive purposes only. We are in no way associated with or authorized by the Eisenhower Theater and/or Barber Shop Chronicles and neither that entity nor any of its affiliates have licensed or endorsed us to sell tickets, goods and or services in conjunction with their events.